Now that Black Friday is a bona fide thing, you’ve really got to be strategic. As the official starter for the holiday shopping season, Black Friday and the days to come are expected to be a frenzy of bargains. Here's some of the best tech deals we could find online as of writing. 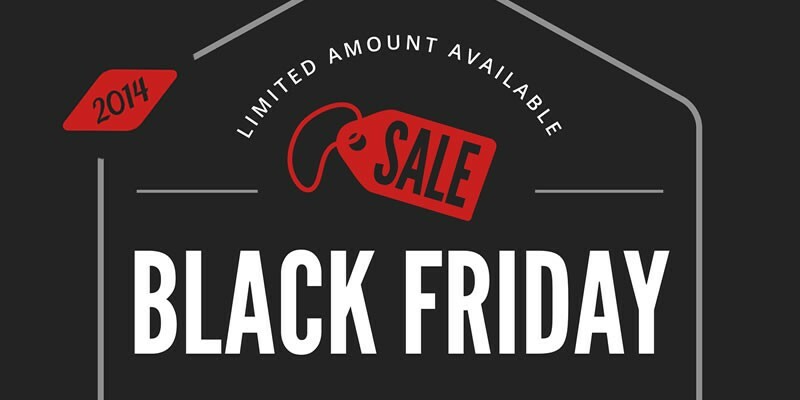 Note that some Black Friday prices will not be in effect until tomorrow. Also watch for 'expire soon' deals. Asus PB278Q 27" 5ms WQHD (2560 x 1440) widescreen LED Monitor with built-in speakers for $400 at Newegg. HP 21z AMD A4 Quad-core All-in-one PC w/8GB RAM for $449.99 with free shipping - list price $649.99. Two (2) Dell Professional P2214H 21.5" 1080p IPS Monitor w/ Dual-Monitor Stand, $125 eGift Card for $369.99 with free shipping - List price $589.97, add to cart to see eGift card mention, effective final price is just $244.99 assuming you use the eGift card entirely. Lenovo ThinkPad T540p Core i5 15.6" 1080p Laptop w/ Windows 7 Professional & 3-year warranty for $649 with free shipping - normally $949. More Lenovo: Known for their popular ThinkPad lineup of Business laptops and ultra-portable sytems, is not disappointing their customers this year. You can save 22% on list price of most best-selling customizable models. TP-LINK TL-WDR3600 Dual Band Wireless N600 Router for $59.99, Gigabit, 2.4GHz 300Mbps+5GHz 300Mbps, 2 USB port, IP QoS, Wireless On/Off Switch. Extra savings w/ promo code BFTPLINK144, ends 11/30. PNY XLR8 2.5" SATA III Internal SSD - 120GB $59.99 | 240GB $94.99 | 480GB $189.99. Up to $50 cheaper than regular pricing. 27-inch Dell E2715H 1080p Anti-glare, LED-backlit Monitor w/ 3-year warranty for $199.99 with free shipping - list price $329.99. Turtle Beach Ear Force PX3 Programmable Wireless Gaming Headset for $44.99 with free shipping - list price $99.99. Groupon has the Asus Nexus 7-inch 16GB tablet for $149. The Pebble Steel Smartwatch. This black friday get the Pebble Steel smartwatch for $150 using promo code PEBBLESTEELDEAL. Panther Air Drone with HD Camera for $110 with free shipping - normally $150. 11/27 only. Nikon D7000 16.2 Megapixel Digital SLR Camera with 18-55mm Lens for $649.95 with free shipping - list price $949.99. Amazon Fire HD 6 Tablet for $79, 6" HD Display, Wi-Fi, Front and Rear Cameras - normally $99. Extreme Micro Drone 2.0 + Aerial Camera for $74.99 with free shipping - normally $99. 11/28 only. Nest 2nd-gen Learning Thermostat for $199 with free shipping - normally $249. 11/27 only. Yamaha RX-V675 7.2 Channel Network AV Receiver with Airplay for $399.95 with free shipping - list price $649.95. Bose CineMate GS Series II Digital Home Theater Speaker System for $349.95 - normally 599.95. 11/28 only. 60" Sharp LC-60UQ17U Aquos Q+ 1080p 240Hz 3D Smart LED TV for $1,099 with free shipping - normally $1,599. You may also want to check out Faveable's secret tips for Black Friday deals and their latest Black Friday deal updates.